Easy-to-use spray or brush application. 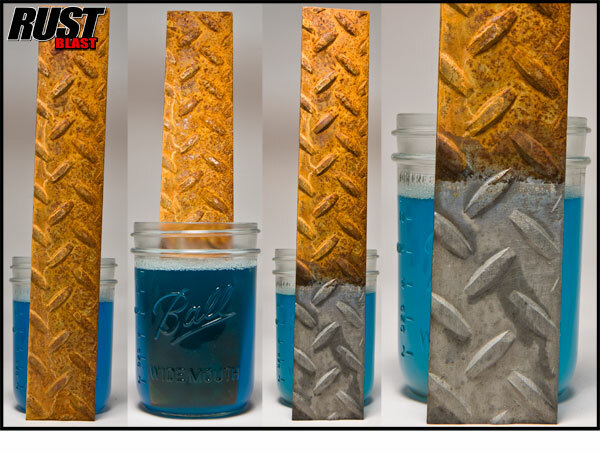 Apply RustBlast full strength to a clean surface keeping it wet for at least 30 minutes or more and watch rust, corrosion, metal oxides, and tarnishing vanish before your eyes! Awesome metal prep for pre-primer after media blasting! Currently rebuilding a 1928 Chevrolet Roadster. This is the third car I have used KBS products on. They are easy to use and work as advertised. The photo is of the last car I used KBS products, a 1929 Model A, now my daily driver. 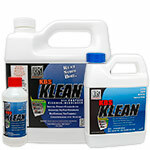 Best products I have used for auto restoration. I have used rustblast for several years and am still amazed at how t works. This is a great product but do not skip the last step to wash rinse the metal and then dry before coating the grey chalky coating will keep liner from adhering properly and cause it to peal down the road. RustBlast did a great job of removing light rust and preparing the steel for paint. Heavy rust is a lot more of a problem. I do recommend the product. Great service and quick shipping. Will buy from again. I used this on an extremely rusted motorcycle tank. Worked flawlessly. Would recommend this product. And I will buy it again. I haven't purchased your product yet.i called today Sunday I had a question about my application.i left my name & number expecting a e mail Monday. 1 hr. I got a call on Sunday wow! what service.all my question were answered.i have used Eastwood products, not happy with anything. I am very interested in try your products. Great Product! We have been using this for a few years now. We wont use anything else. Q: Is RustBlast safe if it is gets on wiring, rubber, etc. during the process of using it on a car chassis? 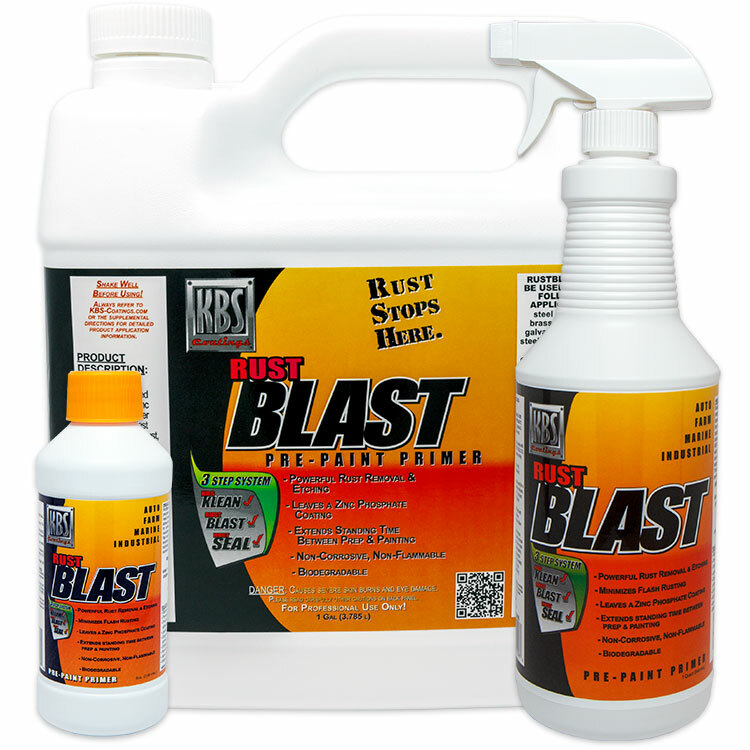 A: Yes, as long as the contact is casual and the RustBlast is rinsed off with water, RustBlast should not affect your wiring and rubber components. Was this answer helpful? 41 of 46 Customer(s) found this Answer helpful. Q: If I have new steel, do I have to let the RustBlast stay wet on the surface for the minimum of 30 minutes or can I do less time? 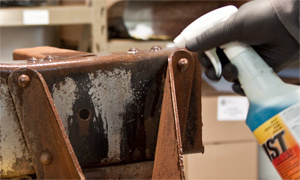 A: New steel is usually very smooth, so we highly recommend leaving the surface wet with RustBlast for a minimum of 30 minutes so that you have an ideal surface profile when you go to apply the RustSeal. Also, remember to keep the surface temperature as warm as possible (within our temperature guidelines) because the warmer the RustBlast is, the more effective the RustBlast is. Q: Can you use RustBlast on aluminum? 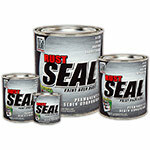 A: RustBlast works very well on aluminum to etch the aluminum allowing excellent adhesion of paint. Was this answer helpful? 19 of 21 Customer(s) found this Answer helpful. 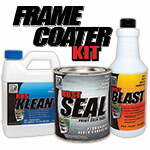 The Frame Coater Kit is our quart size 3-Step System Kit that includes enough products to Klean, Blast & Seal a full-size car or truck frame, or any 50 sq. ft. area with 2 coats of paint coverage. You get Top Quality Protection at a tremendous value! Detailed instructions included.